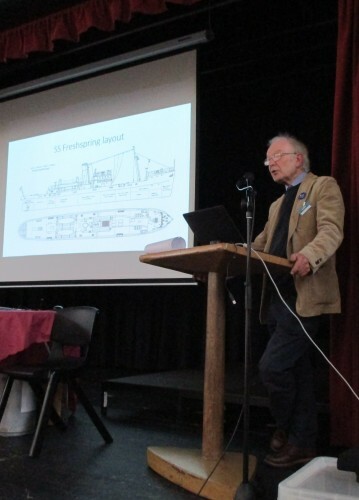 John Puddy was guest speaker at The Steamboat Association (SBA) AGM on the 2nd March. The event is a major occasion in the SBA calendar with around 100 people attending. The SS Freshspring story started with SBA in 2010 when their newsletter included a piece about a steamship being scrapped. The ship in question was SS Freshspring. We know the rest!